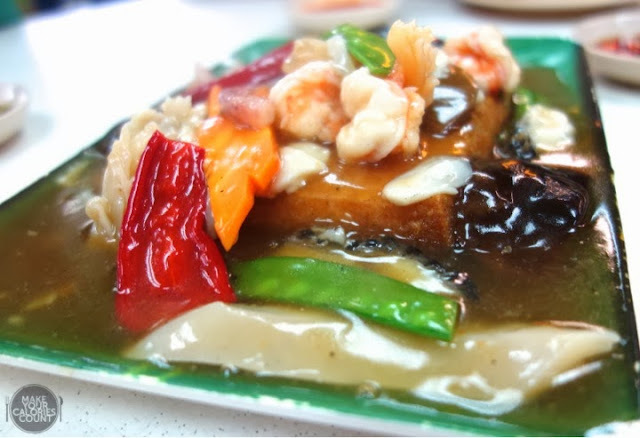 [SG] Yong Kee Seafood - Chao Ta Beehoon, where burnt is yearned! While searching for a place to satisfy my friend’s tze char cravings and looking for a somewhat central location, we decided to settle here with their infamous Chao Ta Bee Hoon. Imagine my quizzical look when I was told that burnt food was actually famous, my first thought was that this was probably an accidental dish. A small coffee shop few streets down from Swee Choon, it’s easy to miss them especially with the many turns and road works happening in the area. This is probably a staple on every table there, and the main star for our trip there. 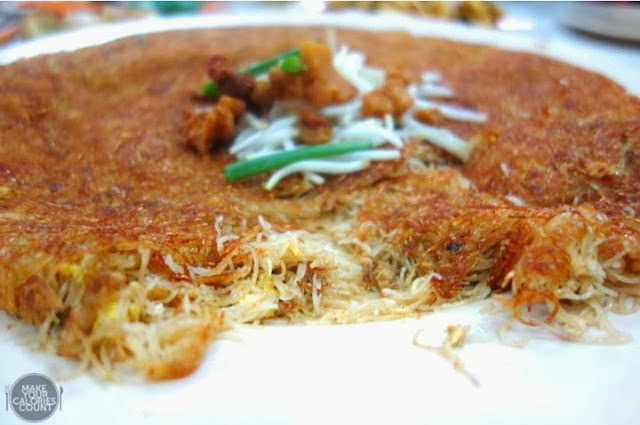 If you hate towgays like me, this would have been a good one as they’d separated the towgays from the beehoon, saving you the trouble of picking it out! Well, I wasn’t sure what to expect for chao ta beehoon (or burnt beehoon for direct translation), but it sure looked like the portion was too small to cost $18. This was an addictive one for me! I usually shun away from butter but this was too fragrant to resist. 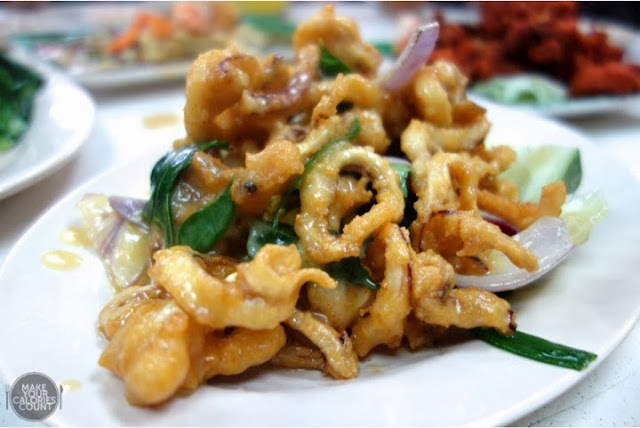 Good for sharing just like calamari, it was deep fried before stir-frying in the butter sauce. Rich and fragrant, it basically goes with anything, though some might find it jelat after a while since it’s slightly stronger on its taste. I found the squid a little overcooked, hence it got too hard. Overall a decent one, making me crave for more butter dishes the next day! 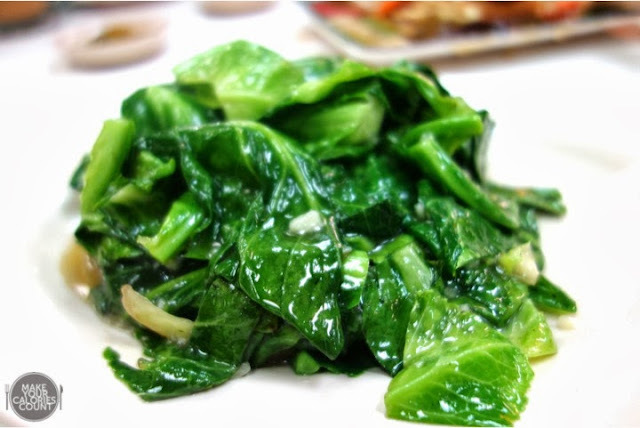 Simple greens to satisfy my friend’s random odd cravings for kalian, I like the selection of young kalian here. Having the crunch to it, yet not too raw, it was cooked just nice for my liking, though the sauce was a little too heavy to go with the dish. Downing some piping hot and tender soft beancurd to warm our hungry stomachs, we're a little biased towards this. 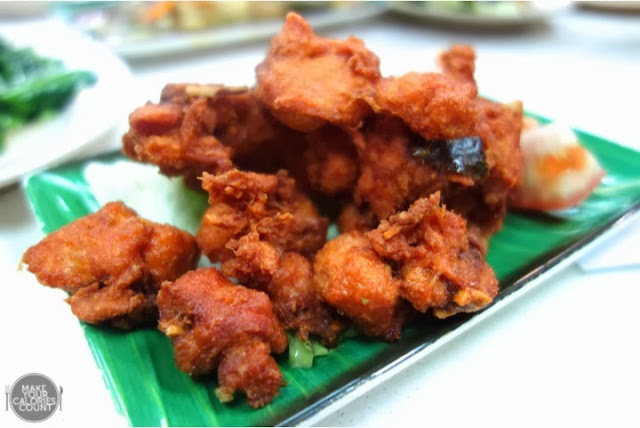 It came while we were extremely hungry and felt very satisfying with the soft tofu settling down in our stomachs. We had it again when we weren't so hungry and found it quite a normal piece, though silken soft and done well with the freshness of seafood coming through, adding flavour to the otherwise plain tofu. Simple pleasures in life, I guess? Eating this is always a chore (though shiok!) with the crispy fried chicken. A thoughtful gesture of serving it in cubes, it was easy to eat glam-ly, without having the bones in the way. I thought it lacked the flavour of prawn paste, hence the aroma didn’t quite come through very strongly when it was first served. It tasted just like any other fried chicken, with a very subtle hint of prawn paste, and a tad too tough. Though a decent tze char place with the dishes we’ve tried, it didn’t quite manage to impress me with its signature. 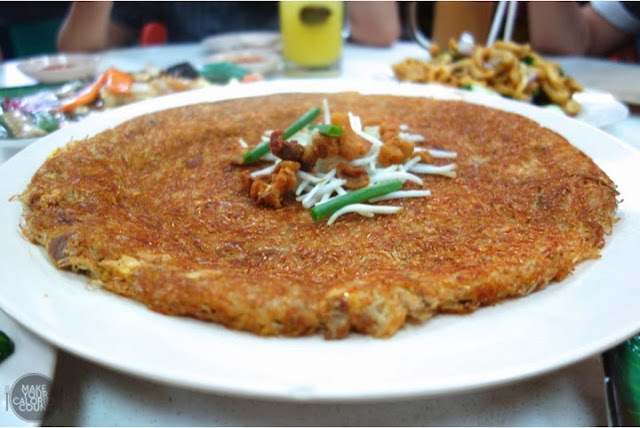 With those dishes we’ve tried, we probably wouldn’t go down specially for it as you can get those at any other tze char stalls.